Pro football returns to L.A. with the Lingerie Football League (LFL), a woman's full contact tackle football league played in lingerie. 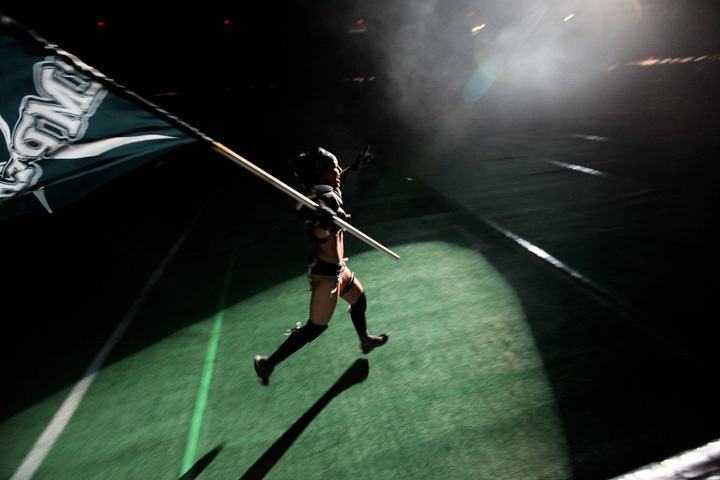 The Los Angeles Temptation defeated the Seattle Mist at the Sports Arena this evening with a final score of 26 to 20. The Temptation are still in contention for a spot in the Lingerie Bowl which will be held in Miami.